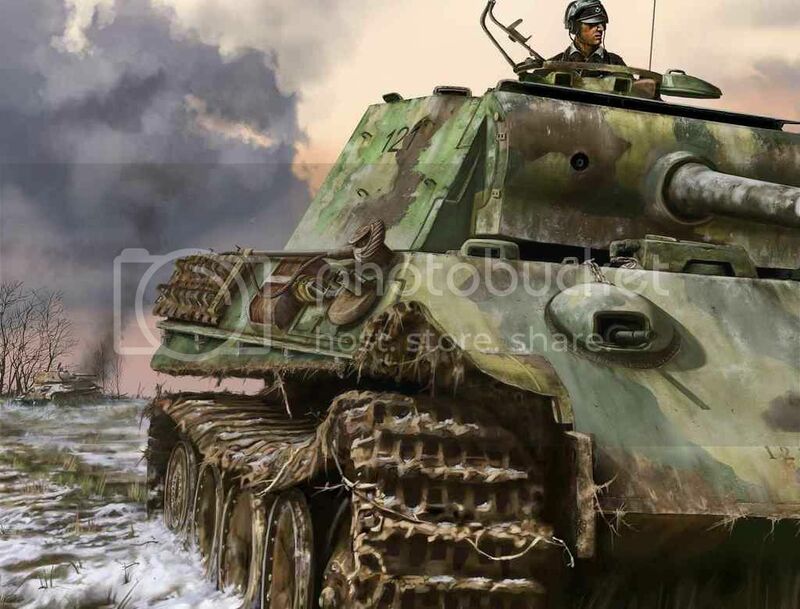 for those of you out there that like cool armor, I have just completed a painting of a Late model Panther G, set during the last offensives around lake Balaton. It has about 130 -150 hours work in it (not counting the research). This one was spawned from my Panther G diorama which has been on this site for a couple of years now. After spending so much time on the subject i was ready to take it further. Some of you will know my dioramas but you probably didn't know that i also love to paint and sketch pictures. 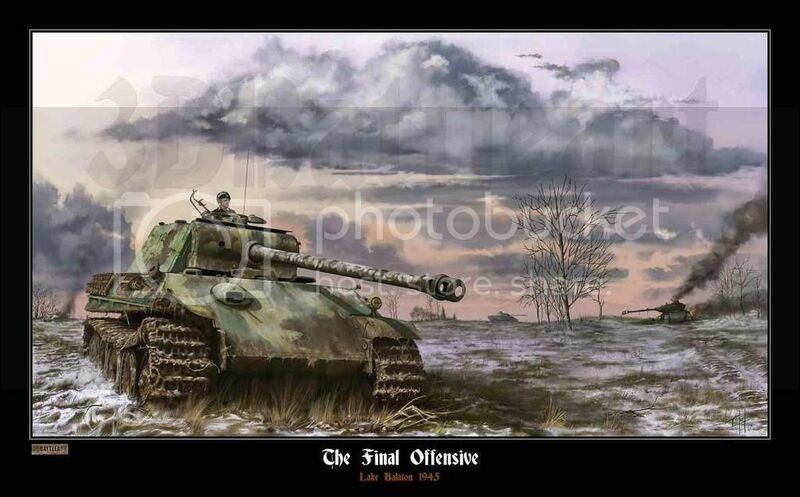 This is my first tank painting completed but I have but a second already under way (The last Tiger 1) and also have a series of 5 paintings based around smashed or abandoned luftwaffe aircraft (Brokeneagles). Anyway if you like what you see visit me at my website http://threedbattleart.com and check out my regular blog as well. Last edited by brokeneagle; 07-13-2017 at 01:09 AM. Thanks Amba, haven't spoken here in ages. How are things? yes, I have been out of the modelling world for quite a while... I am divorced now and have just moved into a house with my two daughters (18 and 30). Wow Amba, sorry to hear that....sounds as though you have had a rough ride lately. Hope things start improving for you now.